What bag or clutch to wear this Holiday/Winter season? Read about our golden tips for Christmas and New Year's Eve. What bag or clutch do you wear this Holiday/Winter season? Will it be a luxury designer handbag, a special and unique one or mayby casual? Each year you probably have those moments of "what to wear" this year? Going to a fancy dinner party? "Monaco" will be perfect! The name is promising and the bag is chic. The bronze, croco motif of this luxury nappa leather handbag makes the bag unique. It is not only beautiful, it is also very soft. And the bag has enough space for all women's items such as keys, makeup, smartphone, etc. Get ready for a glamorous evening! 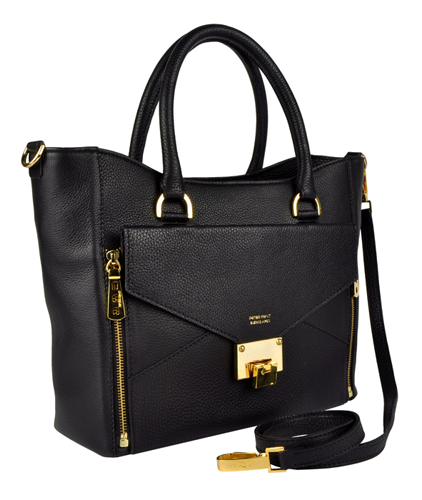 2) The golden edge of "Madrid"
This luxury handbag can be your friend forever. It is a beautiful nappa leather bag with its own identity. Thanks to the gold-colored hardware it is perfect for Christmas. 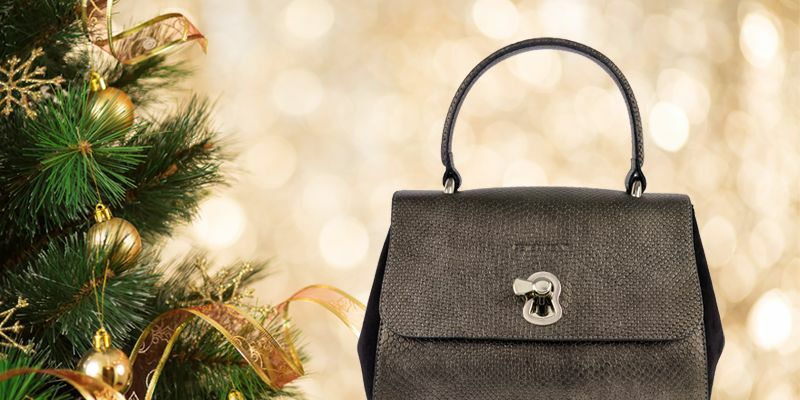 Whether you have a Christmas dinner or visit your family, with designer handbag "Madrid" of Peter Kent you will look fantastic! You don't want to carry a large handbag when you go out at night? No problem! 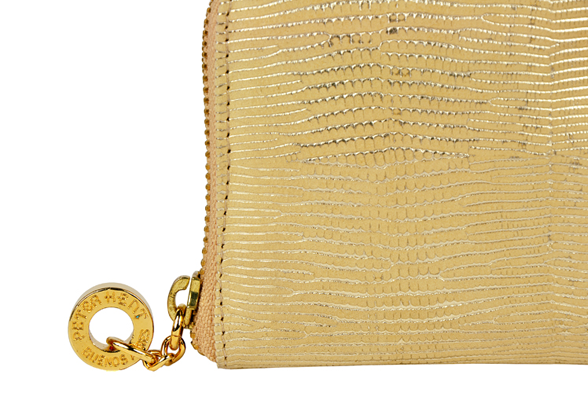 At the front of the bag there is a stylish detachable clutch, also with gold-colored hardware. This bag is multifunctional. Probably no white Christmas this year, but definitely a red one. Red is a traditional Christmas color, so of course we will see it everywhere this year. This classic handbag of Peter Kent has a special edition: beautiful shiny red patent leather. It is smooth and soft. Because of its size you can wear this little designer bag everywhere you go. With this dazzling Baulito Amsterdam you will also shine these Christmas Holidays! Do you have a “high society party” and you want to wear an exclusive handbag? At Fachera.nl it is possible! We present you handbag Fiori by Argentine designer Gabriela Fiori. Only a few people in Europe wear this bag. One of them is our Queen Máxima. Every part of this chic leather handbag is handmade. It is very exclusive. How often do you see a metal handle from alpaca with a lovely decoration of cowhorn? Are you a glamour girl? 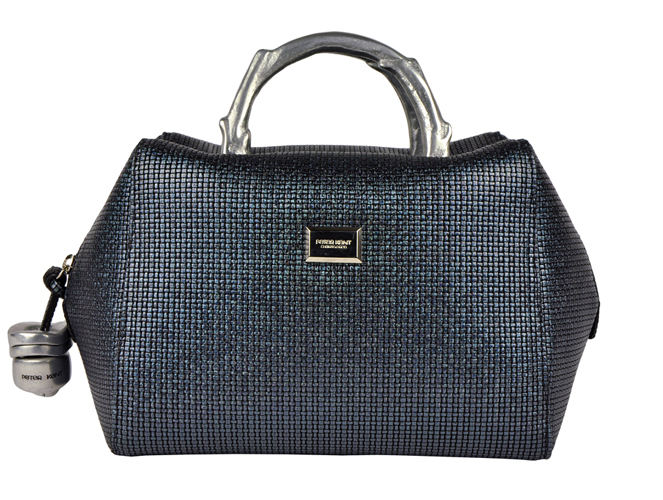 Complete your New Year's Eve outfit with this glamorous handbag. The Baulito Amsterdam Voyage is a huge eyecatcher. 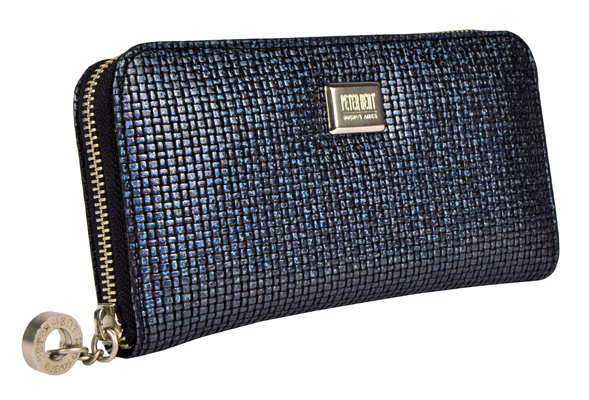 In this chic Peter Kent bag you can see many different colors, depending on the light. Are you ready to party? You don't have a party on the Copacabana this winter? Than bring the Copacabana to your party! You don't want to carry a handbag, but still need all your small and necessary things? Check out this chic ladies purses by Peter Kent. Feel comfortable in your outfit. Party your way into 2017! Need more inspiration? Check our Fachera Christmas selection.